Lock in a great price for Sun Guest House – rated 9.5 by recent guests! The hosts were really wonderful. They were really helpful and when my daughter got fever, host himself went to the drug store and brought medicine. Really appreciate their friendliness and hospitality. Clean rooms and food was great. The hosts were absolutely lovely and I thoroughly enjoyed our chats! 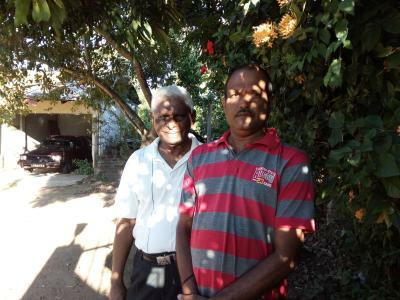 They were so helpful and caring and made sure I got the most out of my time in their beautiful Polonnaruwa. 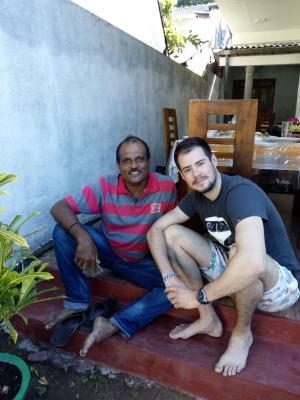 The homestay was in a great location, the bed was comfortable and the shower hot. 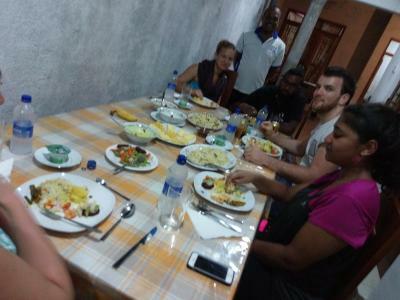 The food was definately the best I’ve had in Sri Lanka! This place is a must stay. We had an amazing stay! 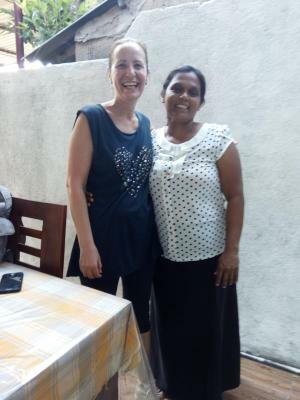 Great hospitality, so close to the ruins, delicious homemade food-the best we had in Sri Lanka, good bike hire, we would stay again! The owner was super kind! The room, room size, quality of the mattress, shower, the extra power strip and bottles of water provided, the quality of the wifi and the home cooked food: OMG!!! The host breathes hospitality!!! We had a very relaxed stay in between all the sightseeing. 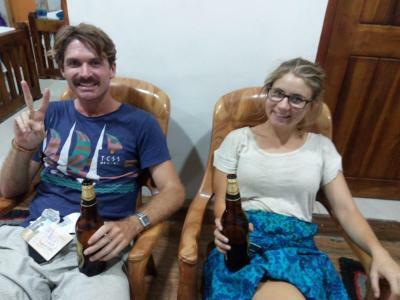 - Summit was immediately very friendly and available for us, he rented bikes for us, organized a safari at Kaudualla (5 000 rupies) where we saw hundreds of elephants and even had some beers with us and taught us a lot about his culture. 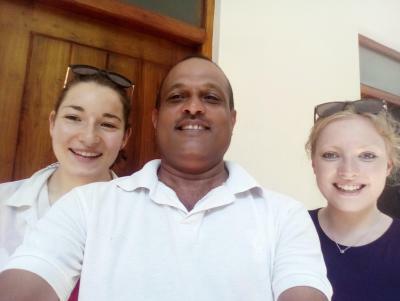 He did everything he could to get us tickets from Ella to Kandy. - Very clean room. - Amazing breakfast - Best dinner we had so far, at an amazing price Best value you can get !! We loved staying at Sun Guest House. 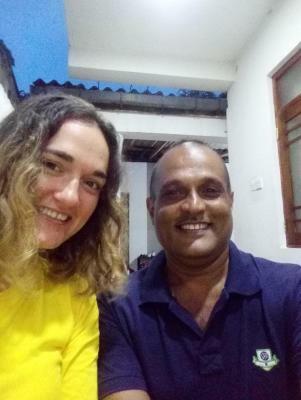 It was our last night in Sri Lanka and a perfect way to end the trip. 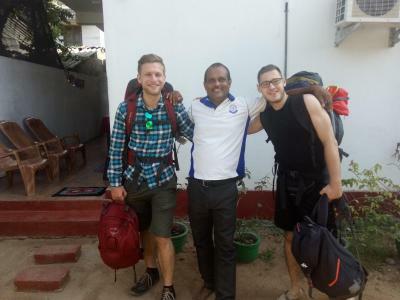 The guest house is really close to the ancient city of Polonnaruwa and they can arrange for you to hire bikes so you can cycle around the site. 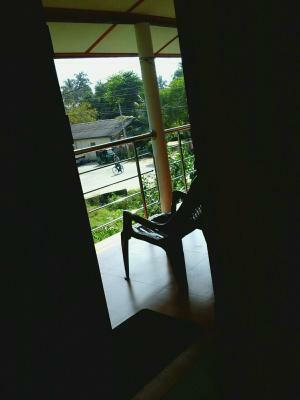 The guest house is clean and calm and and the owner is incredibly helpful and nice! 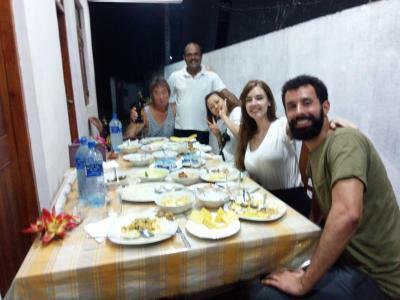 We had dinner at the guest house and it was definitely one of the best meals we had in Sri Lanka! Great location, room is clean like new and best sri Lankan food. Host helps to arrange ride and activities. 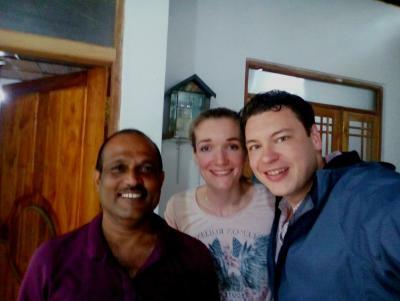 We stayed at Sun's guesthouse for 3 days and the host was amazing. 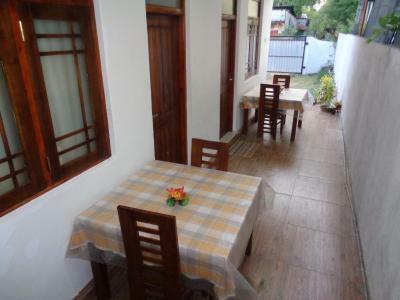 The location was perfect for us as it is close to a bus stop with buses to/from Kandy, Columbo, Sigriya etc AND his place is within biking distance to the ruins. The ruins were so close, it was easy to do the ruins in half a day and another activity in the evening. The host arranged bikes for us,arranged our safari and meals every morning to get us on our way. He was awesome!! Excellent location, very close to ruins and bus stop. Host is super friendly and welcoming and the food was fantastic. Would definitely stay here again. Highly recommended! 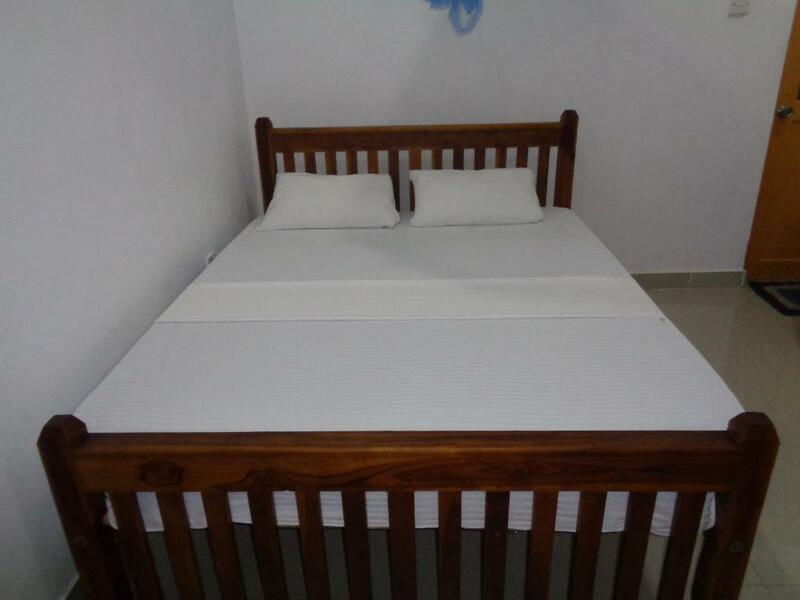 Perfectly located for the ruins (just a few minutes walk if you prefer not to cycle), clean room with good a/c, tasty and generously sized home-cooked breakfast and dinner, wifi worked well, and plenty of little touches showing a great understanding of travellers' needs. 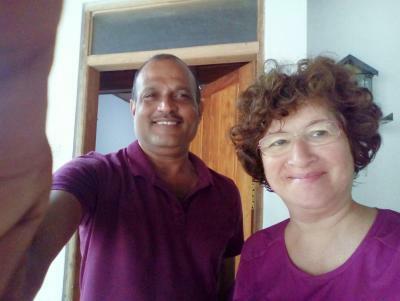 But what made it an exceptional experience was the hosting - Sumith was extremely welcoming, thoughtful, helpful with all my questions and overall very service-oriented. Plus he is a real gentleman! One of our top picks in Polonnaruwa – and a guest favorite. 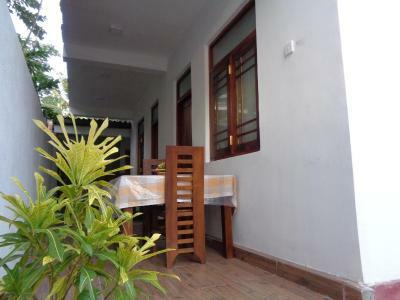 Featuring free WiFi, a restaurant and a terrace, Sun Guest House offers accommodations in Polonnaruwa. Free private parking is available on site. Certain units feature a seating area where you can relax. Every room comes with a private bathroom fitted with a shower. Bike hire is available at this guest house and the area is popular for cycling. 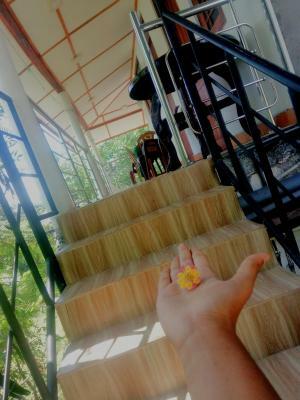 The guest house is just 650 feet walking distance from Polonnaruwa ancient city, Polonnaruwa National Museum and Parakrama lake. 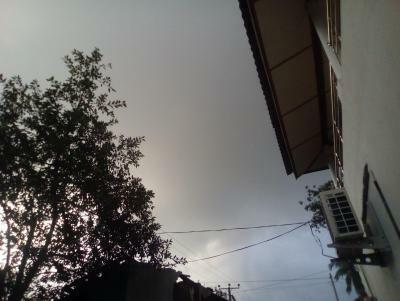 Anuradhapura Airport is 47 mi away. 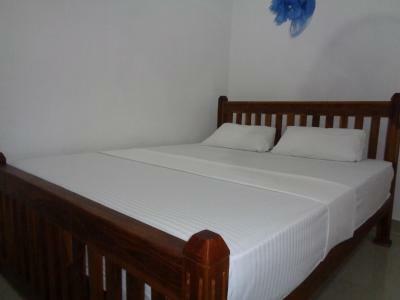 When would you like to stay at Sun Guest House? 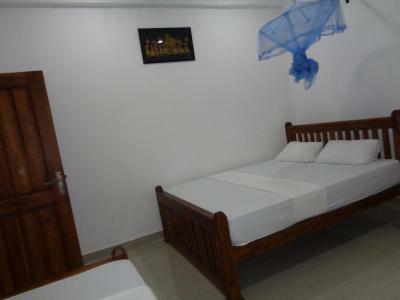 This triple room features a seating area, tile/marble floor, fan, mosquito nets and attached bathroom. House Rules Sun Guest House takes special requests – add in the next step! It was quiet hot in the room and a lot of mosquitos (but it's not our hosts fault..) ! 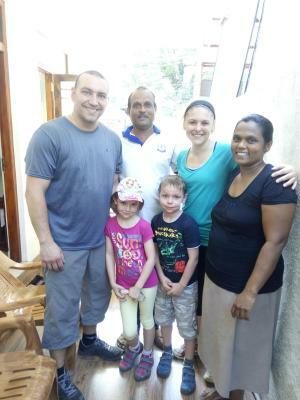 Our host was incredibly welcoming and helpful from our late arrival to our leaving moment. 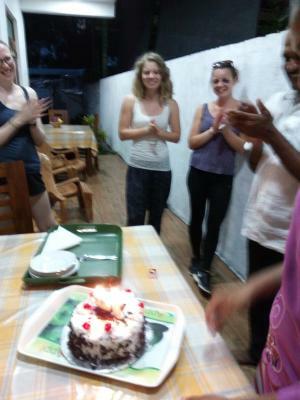 We arrived on holiday day (their new year) and invited us for cakes from the celebration as well as presented us to his whole family. 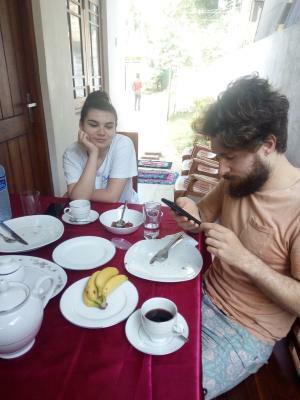 The breakfast was one of the best from our whole holiday and the whole experience was one of our top 3 guesthouse ! Just perfect from the beginning to the end!!! THANK YOU so much !!! 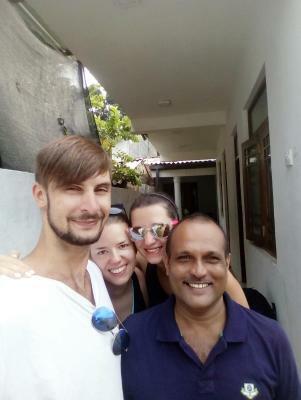 Not the fault of the owner of Sun guesthouse, but the manager of the company who took us on a safari at Manneriya was totally unfriendly and awful. We told the owner of Sun about this, who felt embarrassed about it even though it was outside his control, so hopefully he will work with someone else. You might want to double-check in advance. 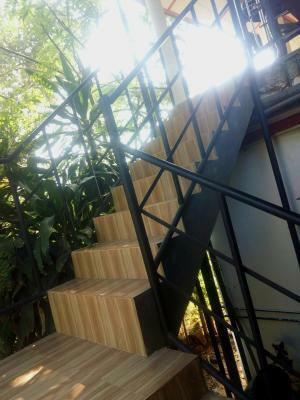 Apart from the basics (location, comfort) what stands out most at Sun Guesthouse is the host who goes a long way to make you feel welcome. He understands what you need and gives it with a big smile. Took me on his scooter to an ATM. Gave us water. Helped us plan our stay. 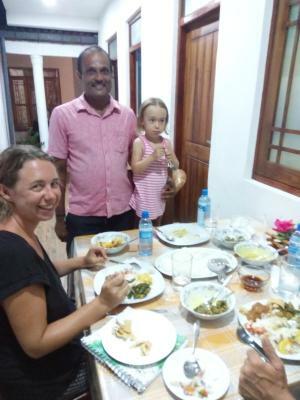 Food was among the best we tried in Sri Lanka - both dinner and breakfast. We were really sad to leave! 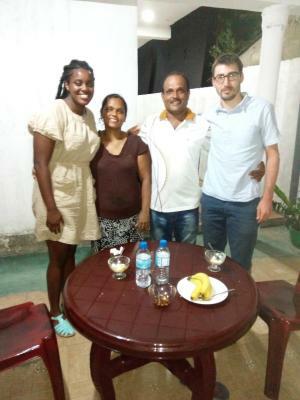 The owner and his wife are simply amazing and will help you with information about the city, transportation, where to go etc. For example, I mentioned that I needed to buy some spices and the next thing I know the owner is driving me across town to get the best brand (recommended by his wife). The food is delicious and rooms are very clean and come with a big bed. One of the best places I've been to. Everything was great, honestly. On arrival I was given tea and fruit. The room was very clean and had a little balcony you could sit on which was lovely in the evening. Good location. 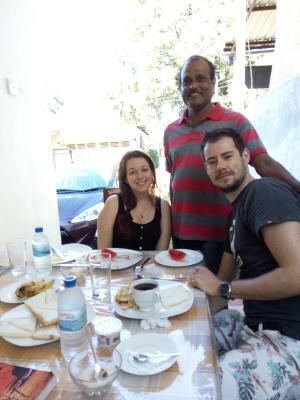 Breakfast was one of the best I’ve had in Sri Lanka...and it was included! The host was very helpful, giving information on buses and what to do in the area. 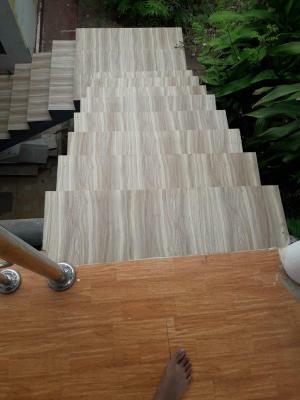 Very good value for money, would 100% recommended to anyone staying in Polonnawura. 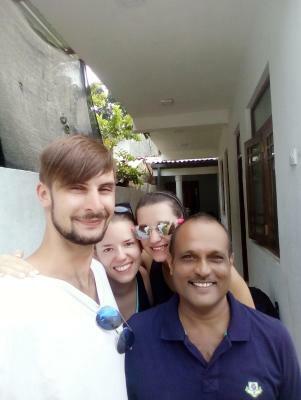 I have been traveling in Sri Lanka for 2 weeks and I must say that it was one of the best guesthouse i have been to. Several reasons : The place was very clean. The owner was extremely nice, helpful, and trustworthy. The breakfast was big and very good. Cheap price. A location in the centre of town is only a good thing if the town in question has an attractive centre. Sadly, Polonnaruwa does not, being by far the least appealing place (outside of the ruins, which are outstanding) during our trip. If your budget can stretch to staying somewhere more pleasant a bit further out, then that might be a better bet than the dusty and rather dismal environs of the town centre. Efforts do seem to be underway to renew parts of the centre but you can't make a silk purse out of a sow's ear. Likeable and obliging host. Good breakfast. Shower and wifi fine. Loved being able to rent bikes to explore the ruins - the museum you buy tickets from is just a moment or two away by bike. 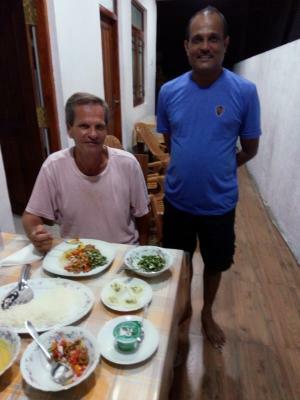 Dinner was delicious, although I was bemused by how flummoxed our host was by our request for non-spiciness, something that every other Sri Lankan we met was more than familiar with from European visitors. Good location. Just 5 mins walk from the bus stop. 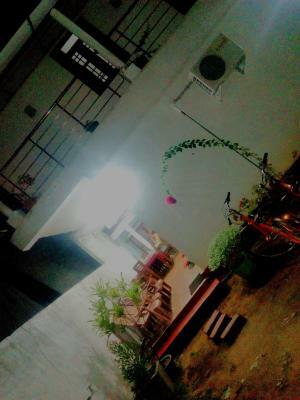 The place looks very new and clean. 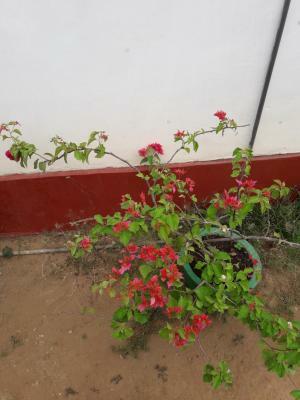 The owner, always has a big smile on face, is very friendly and offering a lot of help. 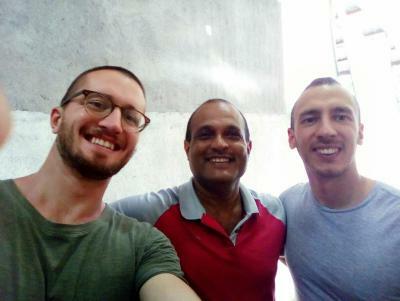 You can rent a bike from him for visiting the ancient city (cycling is the best way!) He has also arranged me a tuk tuk with good price to the railway station. It was absolutely amazing. 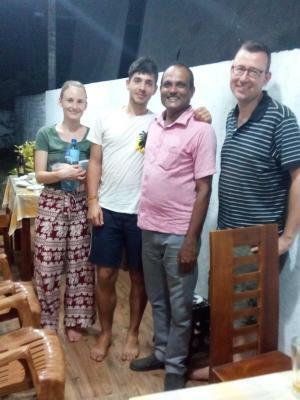 We met a great host who served really excellent Sri Lankan food and helped us with everything we needed. Perfect place to start exploring this awesome ancient location. Highly recommended! Would recommend booking an air conditioned room! The host was so friendly and helpful! He provided lots of information and organized bikes for us so we could see the ruins. Really great food too. The room did not have the AC, however, with the fan I did not have any problem. 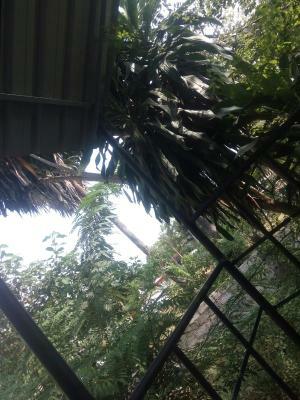 The guest house is located near the Museum where you can buy tickets for the ruins and near the bus stop. 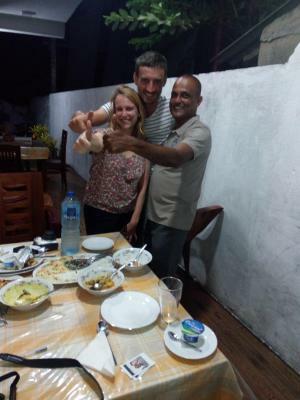 The host is super friendly and will help you with everything, from where to eat to where to go next in your travel. 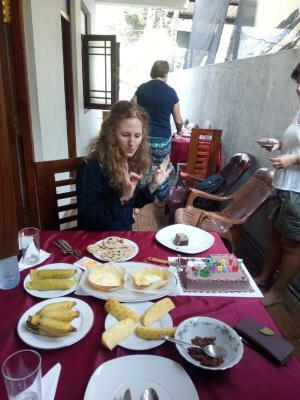 A traditional breakfast is served on the table in front of the room and was the tastiest I tried in Sri Lanka. Husband and wife both operation hotel. Both very friendly and helpful person. The room has bad fungus smell. Room square too plenty for us. 1st day morning breakfast also extremely bad, they offer cheap meal. 2nd day breakfast fair under advice myself. Car parking facilities bad. Background environment extremely bad. Very good service and clean. Welcome fruits and wonderful breakfast. Owner very friendly and helpful anytime to make your plans work easily. 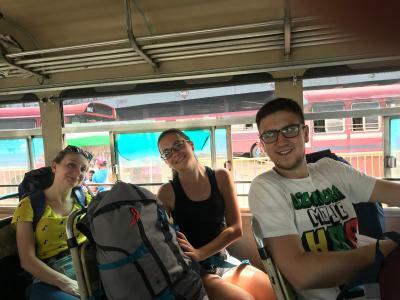 Good tips, arranged bike rental and tuk tuk to the.station. Quiet area near to the archeological city entrance. I highly recommend this property! The surrounding of the hotel needs to be improved.